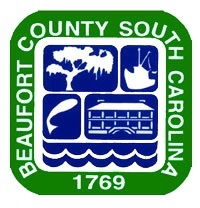 The Beaufort County Community Development Department is seeking proposals from qualified forestry consultants to plan and implement silviculture operations on 23 County-owned properties (~2,400 acres) located throughout Beaufort County, South Carolina (Attachment A). Project goals include an evaluation of each property to determine silviculture opportunities and needs, conducting forest inventories, drafting a long-term silviculture plan, and coordinating harvest sales. Pre-Solicitation Meeting Details: Please sign up if you plan to attend the pre-solicitation meeting which will be held on November 15, 2018 at 10:00 am at the Beaufort County Finance Department Conference Room located at 106 Industrial Village Road, building #2, Beaufort, SC 29901. A tour of an example location will begin after the meeting. Vendors are responsible for their own transportation.